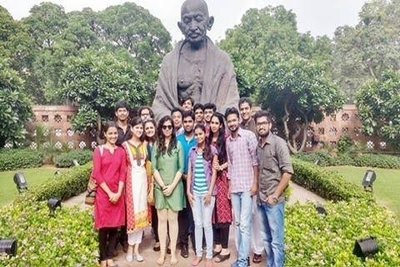 Swadesh Internships are carefully designed to be reflection of an individual in the society and roots. These experiential learning programs provide an immersion and understanding of grassroots to young change agents. Location(s): East Delhi Parliamentary Constituency. Support: Orientation, individual mentoring and guidance for all work related tasks and Certification. Sh. Maheish Girri, Member of Parliament from East Delhi and National Secretary of BJP is well known for his innovative initiatives like Girri-Chaupal, Mega-Divyang Sashaktikaran Camps, Parliamentary work, youth engagement in governance. In the recent past, he has made significant efforts in organising various camps to make the people aware about the Government schemes to the people & make East Delhi Best Delhi as envisaged by him. Further he also believes that the youth can play a major role in this development process & be a great contributor in this process. In addition, he had launched “meri Dilli meri Yamuna Campaign” in 2010 and was also one of the key members of India Against Corruption Campaign. In English ‘Sanjhi’ means partnership and ‘Tokri’ means basket. 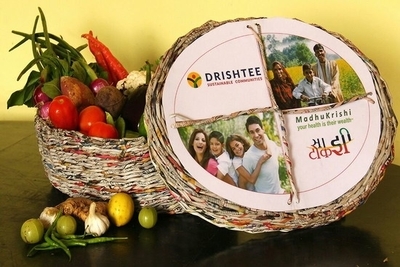 Sanjhi Tokri represents a relationship between rural India farmers and their Urban customers. With its innovative model, Sanjhi Tokri not only provides fresh vegetables grown using minimum chemicals to urban households but also ensures a sustainable and consistent income for farmers. Sanjhi Tokri operates on India’s fastest supply chain delivering vegetables from farm to fork in less than 16 hours ensuring at least 60% share of the revenue to the farmers and rural households. Farmer family relationship in charge (FFRI) internship opportunity is to communicate the perspective of farmers to the customers. The product Sanjhi Tokri is designed in a unique way thus it becomes very important to explain the farmer’s perspective to the customers. The FFRI will be responsible for setting up meetings with the group of customers in Noida and Ghaziabad region and communicating the same to them. To approach and facilitate interactions with various companies and RWAs in Noida and Ghaziabad region. To meet new people from high income group backgrounds and involve them in the whole process. 4. To learn about customer behavior and related challenges making it difficult for farmers to sustain their livelihood. 1. Students pursuing graduation or post graduation in any field. 3. People having basic knowledge of Microsoft office tools like excel etc. Support: Food, Accommodation, Travel and Letter of Appreciation from Hon’ble M.P. Dushyant Chautala is the youngest member of parliament in the political history of India. He holds Limca book of world record for this achievement. He won Lok Sabha 2014 election from Hisar Constituency, Haryana. He recently got a prestigious Arizona State Award for becoming the youngest ever president of any international sports federation. He is the youngest president of Table Tennis Federation of India. He is known for his innovative work and carried out highly impactful projects for the people of Hisar. He is one of the most active member and is ranked among the top 3 parliamentarian in terms of raising questions and private member bills. This internship is about understanding the ground realities of villages of India and improving the quality of educations of government schools. The interns will be working on following tasks. Understand the village’s problem and preparing a detailed Development Plan. Listing out interventions to overcome these problems. Analyzing government schemes and policies to carry out these interventions. Basic Guidelines will be given during the induction program. 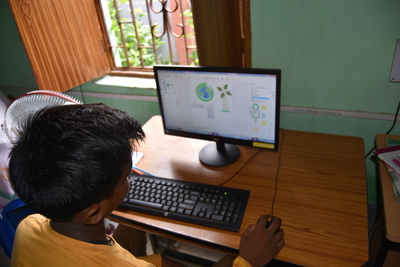 Individual has to spend 4 hours in school to teach basics of computers and spoken English. Preparing a scheme compendium with benefits of schemes, procedure to avail benefits and impact of the scheme on ground. Spending 2 weeks in village and coordinating with the village community. Completing a basic syllabus in 14 days and conducting a test of all the students. Carrying out ‘Career Guidance Program’ for the students and guiding them with all the courses. To have first hand experience on policy implementation methodology. To realize the challenges in implementing the policy and in rural development sector. To experience a village life for 2 weeks, village home stays and local food. To improve their planning, managerial and leadership skills. Currently pursuing Bachelor’s or Master’s degree. Graduates/Professionals with relevant experience, who want to contribute to the cause. Knowledge of basic computer software (office tools) and interest in open source tools. Strong attention to details, task oriented, self-initiator and excellent communication skills. Empathic in approach and willing to experience rural life. Should be proficient in speaking Hindi. SSISM Sandalpur is one of the promising upcoming education institute of central India. Located 120 kns away from Indore and 130 kms from Bhopal. It is just 7 kms away from River Narmada. The nearest railway station Harda is 35 kms away on Khandwa to Itarsi rail route. 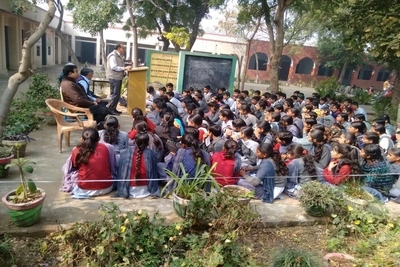 Topic – exclusive interactive session on current affairs, current General Knowledge, Mathematics, english, vedic maths, aptitude reasoning, data interpretation etc topics related to competitive exams. 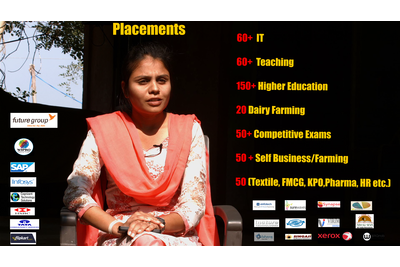 Graduate/ Post Graduate with hands on experience in conducting above mentioned sessions for rural youths. Ekal Movement is a non-profit organization working in 53,000+ rural and tribal villages. The aim of the organization is to empower Indian villages in a holistic manner. To achieve this, Ekal runs One-Teacher schools, skill programs to create micro-entrepreneurs, health programs to eradicate anemia and malnutrition and various other programs to strengthen rural and tribal villages. 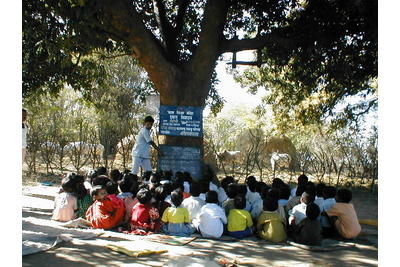 Ekal, a non-profit organization, is one of the largest initiatives in the world that work among rural and tribal people. Ekal is committed to empower rural/tribal villages through its various interventions: One-Teacher Schools (Ekal Vidyalayas), Demystification of Computers through Digital Literacy programs, Women Empowerment Programs, eradication of Anemia and Malnutrition through Poshan Vatikas, formation of Farmer Clubs and Youth Clubs etc. To take the initiative to the next level and engage passionate young minds, Ekal is floating this Impact Internship program. The interns will be involved in capturing the life and culture of tribal villages and Impact of Ekal’s interventions in the targeted villages. Interns will also have the opportunity to live among tribal people and experience their lives. The intern will capture activities of Ekal and their impact. The interns will edit and structure the captured photographs to fit various themes. Note: The photographs will be put in exhibitions/ Social Media and Coffee Table Books. The work will get a very high visibility through exhibitions, social media and reports. The intervention has won the Digital Trailblazers award at Digital India Conclave, 2016 for innovation in digital literacy. The conclave was organized by HP India, India Today and KPMG. To take the initiative to the next level and engage passionate young minds, Ekal is floating this internship. The interns will be involved in refining the curriculum, bringing in new tools/software to increase the effectiveness of the program and studying the expectations of the target beneficiaries. Interns will also have the opportunity to live among tribal people and experience their lives. To take the initiative to the next level and engage passionate young minds, Ekal is floating this Impact Internship program. The research interns will be involved in socio-economic and ethnographic study of the targeted tribal villages. Interns will have the opportunity to live among tribal people and experience their culture and traditions. Will have the opportunity to live among tribal people and experience their unique culture. The data collected will be very useful to improve interventions in the regions and will Impact the lives of thousands of rural/tribal people. It will be opportunity to showcase the rich culture and traditions of tribal villages to the outside world. Currently pursuing Bachelor’s or Master’s degree in Humanities and Social Sciences.